To learn more about America first on-the-ground, Azis, who is a CRP Visiting Lecturer and an AEM Adjunct Professor, visited Mount Pleasant over February break (Full disclosure: I’m in Intro to Methods of Planning Analysis, the class Prof. Azis teaches in CRP, and he seemed very enthusiastic about this trip). After returning to Ithaca, Prof. Azis gave an interview on U.S. trade policy to Development + Cooperation (D+C), a German publication that focuses on global development. In that conversation, Azis gives readers his take on the U.S.’ tariff war with China, Trump’s issues with the World Trade Organization, and more. A link to the interview in English and in German can be found here and here. Iwan J. Azis is a visiting professor in CRP and an adjunct professor at Dyson Cornell SC Johnson College of Business. He is also professor at the University of Indonesia and a senior adviser to the country’s FDIC. He has taught at Cornell since 1994 and was the Director of Graduate Studies of the Regional Science program in the Department of City & Regional Planning until 2009, when he was appointed as the Director General in charge of regional cooperation at the Asian Development Bank (ADB). 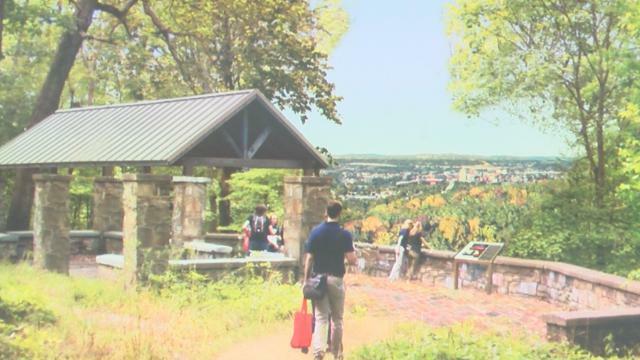 This week students in Cornell CRP’s Design Connect workshop presented their scheme for a Binghamton park to the city’s Parks Committee to favorable reviews. 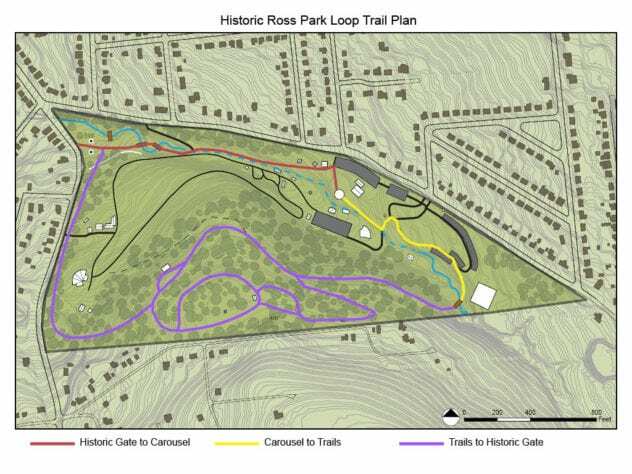 The group, led by Carolyn Gimbal (H.P.P ’19), proposed a looping trail to connect different programs in Ross Park, which is home to Binghamton’s zoo and children’s science museum. The proposal is a key part of Design Connect, a class open to graduate and undergraduate students from AAP, as well as the university at large. The course pairs student design teams with local clients to improve public spaces the clients steward or manage. “It can be a really affordable way for cities and nonprofits to develop plans for things like parks,” Gimbal told WBNG, which first reported the story. For Ross Park, students conducted a site analysis and outreached park users to determine what would make the park more user-friendly. Park-goers told the group that the park’s roadways were confusing to navigate, and that park paths posed dangers to pedestrians. To address these concerns, the team thought it would be a good idea to revamp trails through the park’s woodlands, and connect the main entrance with the zoo’s carousel. They also presented plans to add public art and new plantings, enhance traffic control via bollards near the main entrance, and slice a view of downtown through the trees. The Parks Committee will forward the project to the whole city council once funds are secured, perhaps this spring. 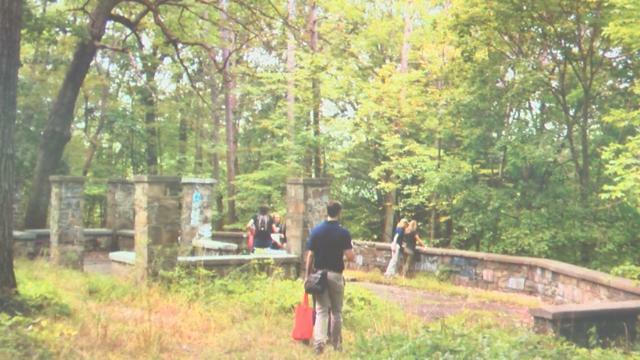 Funding for the project could come from state grants and historic preservation funds. Gimbal stated that the total estimated cost of the improvements comes out to about $677,000. The APA Alaska chapter has honored Ben Coleman (M.R.P. ’17) with its emerging planner award. Coleman wears many hats in role as a transit planner in the Mat-Su Borough, which is the fastest-growing region in the state. Among his many projects, he’s worked on MSB’s $43 million road bond, prepared an economic development proposal for West Meadow Lakes and Houston, Alaska, and crafted a GIS map of the borough’s Long-Range Transportation Plan. 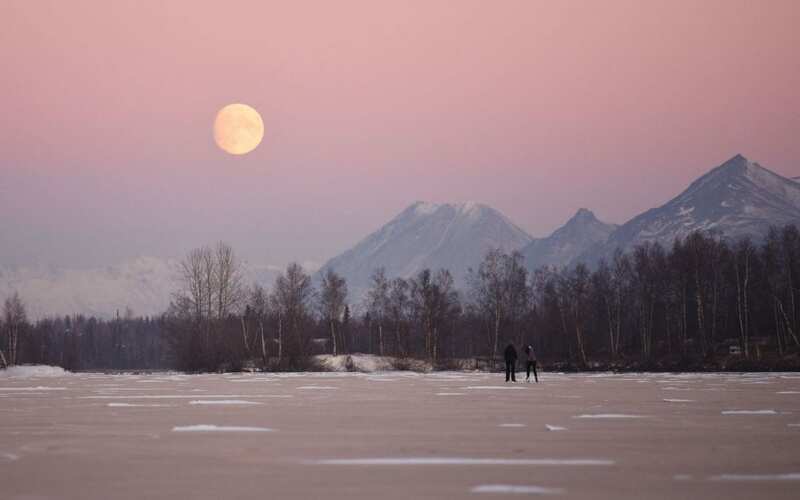 He is also the representative for his region in APA Alaska. The first colloquium lecture of 2019 is scheduled for this Friday, February 8. Willow Lung-Amam, assistant professor in the urban studies and planning program at the University of Maryland, College Park, will speak on Asian-American experiences in the suburbs, a topic she explored in her most recent book. Lung-Amam’s talk starts at 12:20 p.m. in the Milstein auditorium. More information on Lung-Amam’s work and her talk can be found on the AAP website. Nothing kills a great idea quite like a mediocre poster. Even though this versatile visual medium is one of the most effective ways to communicate complex ideas, many academic posters are crowded with tiny text, fuzzy photos, and hard-to-read graphics. Not good. 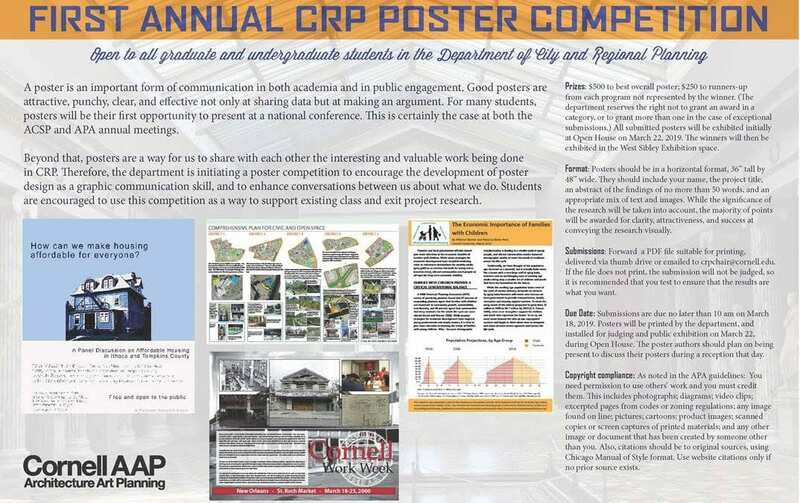 While other fields have to clear their own paths to Nice Poster World, the Department of City and Regional Planning (CRP) is expediting the process for Cornell planners. The department is offering cash prizes for the best posters–$500 for the overall best submission, $250 to the runner-ups. That’s at least 250 $1 beers or the cost of 1/4 of one credit at Cornell! The image above has more information about the competition, including entry guidelines. The deadline to submit is 10 a.m. on March 18. The posters will be displayed at the Open House for accepted students on March 22, and poster-makers will be on hand to discuss the fruits of their immense creative genius. 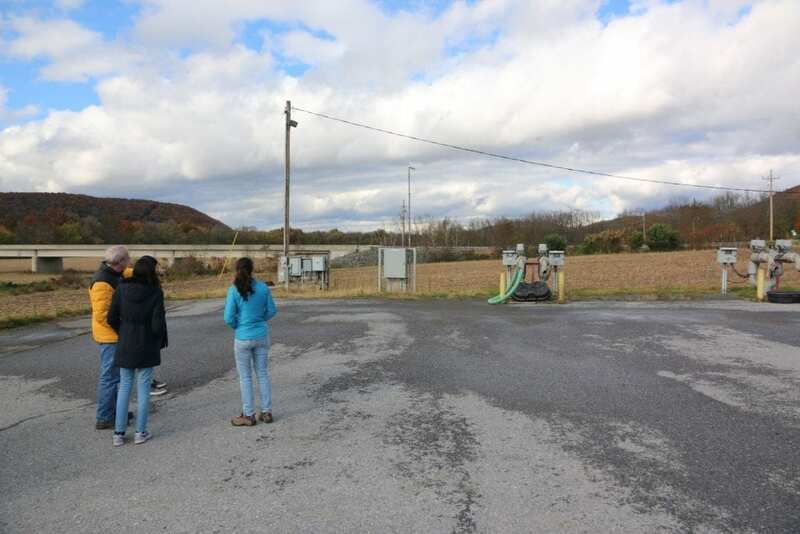 In the fall, MRP students accompanied CRP’s Associate Professor of Practice George Frantz in uncovering the land use impacts from natural gas mining in the rural Pennsylvanian agricultural communities of Bradford County. 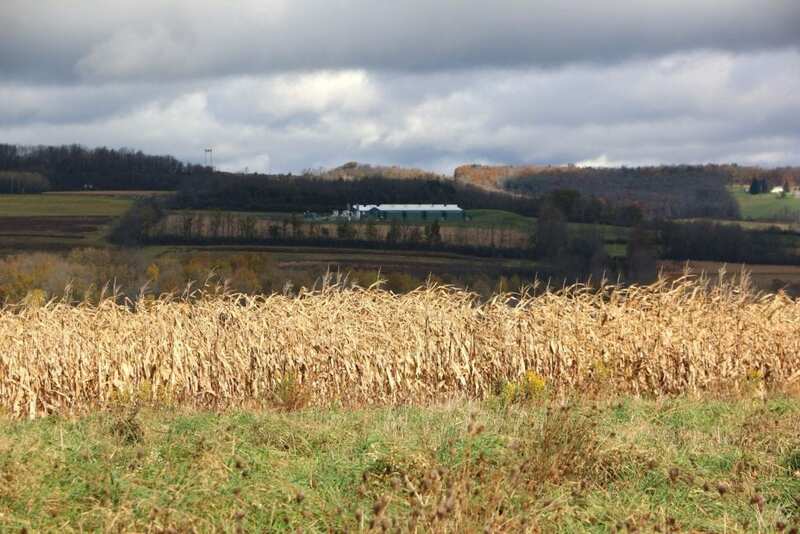 From farmers leasing out parcels of their farmland for drilling, to the state’s substantial impact fees for any form of misconduct committed by the oil industries, Bradford County’s agricultural areas are experiencing new gains in development. 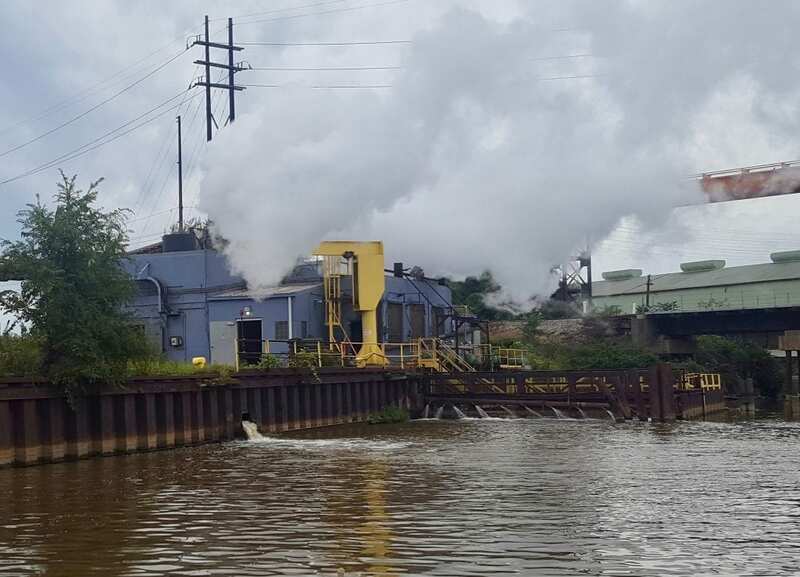 Frantz has been studying this phenomenon since 2008, this journey allowed MRP students to observe how Pennsylvania’s legislation affects mining. For example, unlike many states with natural gas mining operations that allow for compressor stations to be exposed, Pennsylvania mandated that stations match the area’s building typologies. In rural Bradford, the stations masquerade as barns, pictured above and below. 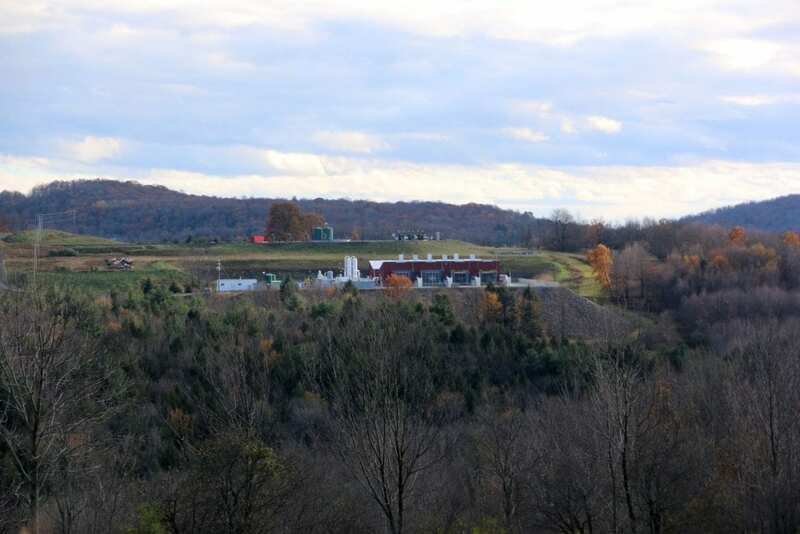 The state’s rules also require the compressors’ noise pollution to be minimal. 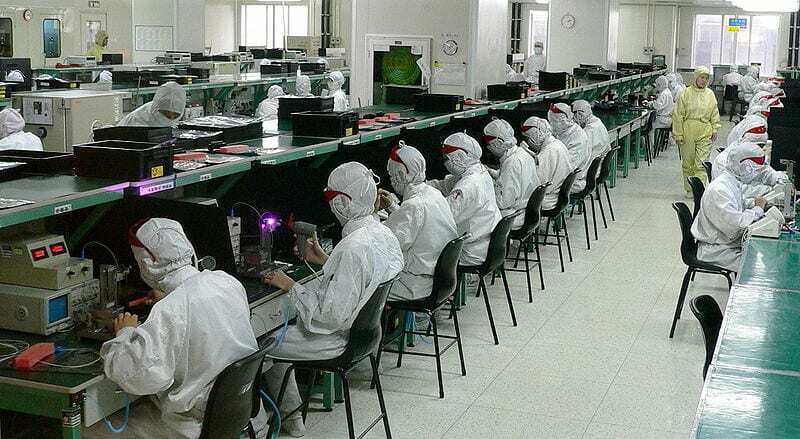 Originally planned as a trip to document sites with an active mining rig, this objective went unmet because the team was unable to find any rigs. Nonetheless, this experience allowed for the group to reflect on how the mining practices could be further regulated. As planners, we must acknowledge our responsibility in ensuring that the preservation of the natural landscapes is upheld to the highest standards possible. For if we do not protect the environment that we live in, how can we ensure that our population flourishes? Although 2019 feels a world away (especially since we’re all bogged down with finals next week), now is the time to nominate lecturers for the upcoming Clarence S. Stein Colloquium. The annual lecture, held on March 22 next year, brings distinguished urbanists to campus to talk about their ideas, their work, and their motivations for making better cities. Last year, MacArthur Genius Fellow Damon Rich, partner at Newark, New jersey–based design firm Hector, spoke to current and prospective students at the March open house. So who should speak this year?Jane Jacobs is long dead, but there are still plenty of eloquent leaders quietly but profoundly shaping cities in the typically glamour-averse world of planning. 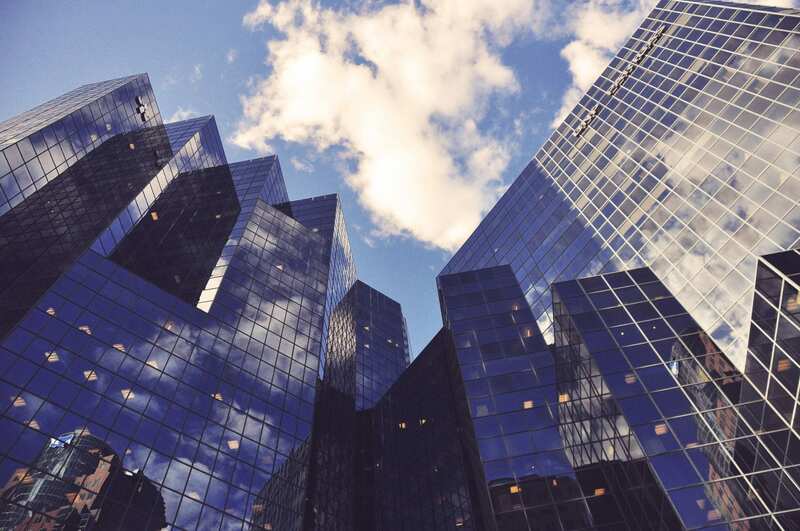 Current students may nominate any urbanist, here or abroad, whose work relates to the questions that Stein grappled with in his architecture and planning practice. If you have names, send them (along with a brief statement) to Ethan Wissler (MRP ’20), this year’s Clarence S. Stein fellow. The department is finalizing its spring lecture series in the coming weeks, so get those emails out as quick as you can! A team of Cornell MRPs is headed to Maryland next month to compete in the Colvin Case Study Challenge, a real estate competition that asks university teams to document a development in their metro region. Cornell’s winning team—comprised of Sara Trigoboff (MRP ’19), Ethan Wissler (MRP ’20), and Zachary Decker (MRP ’20)—entered the competition as part of Baker Program in Real Estate Director Dustin Jones‘s Real Estate Development Process II, a graduate course open to Baker, Johnson, MRP and M.Arch students. On December 8, these students will deliver a 30-minute presentation to a jury of real estate professionals at the University of Maryland, College Park for a change to win a grand prize of $10,000. Second, third, and the honorable mention teams will win $2,500. 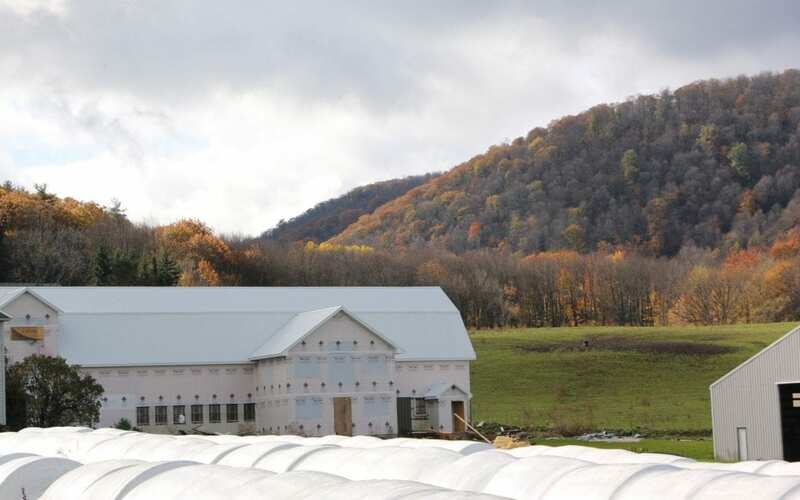 The Colvin Case Study Challenge is distinctive among real estate competitions because it asks participants to evaluate a project after the ribbon-cutting. The competition description states that “[the] Challenge is designed to hone professional skills and reveal the knowledge base and understanding of markets, project valuation, finance, urban design and sustainability, entitlement processes and operational issues.” The final for Professor Jones’s course mirrored the competition submission, but participation in the competition was optional. 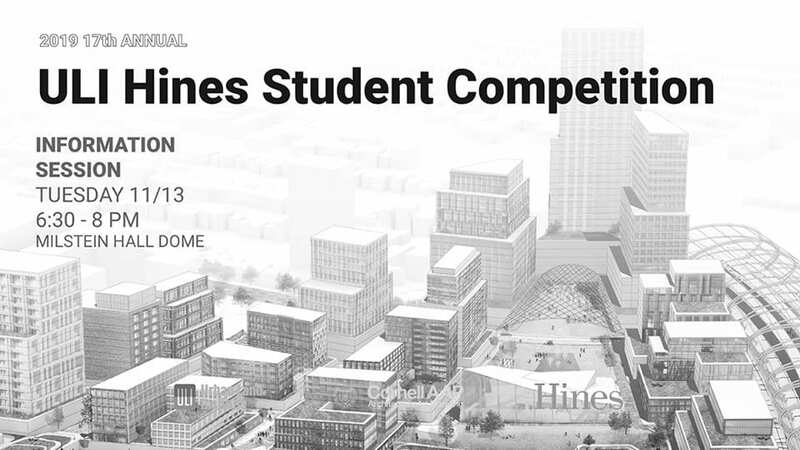 Come learn more about the 2019 ULI Hines Student Competition tomorrow, November 13. Last year, the Cornell team won the $50,000 grand prize. Beginning at 6:30 p.m. in the Milstein Dome, Assistant Professor Suzanne Lanyi Charles will explain how architecture, planning, and real estate students can reclaim the glory next year. It’s that time of year again: fall, where the crisp air ruffles leaves on the ground, flannel cuffs poke out from parka sleeves, and warm seasonal beverages are consumed in abundance. Fall, specifically November 10, also marks the coming of the OCP Auction, the Organization of Cornell Planners’ annual event to raise money for its activities in the graduate MRP and HPP programs. This year, the silent and live auction at the Big Red Barn will feature items like horseback riding with CRP Program Assistant Kelsey Eliot and homemade lasagna from Mark Cassidy, MRP ’19. 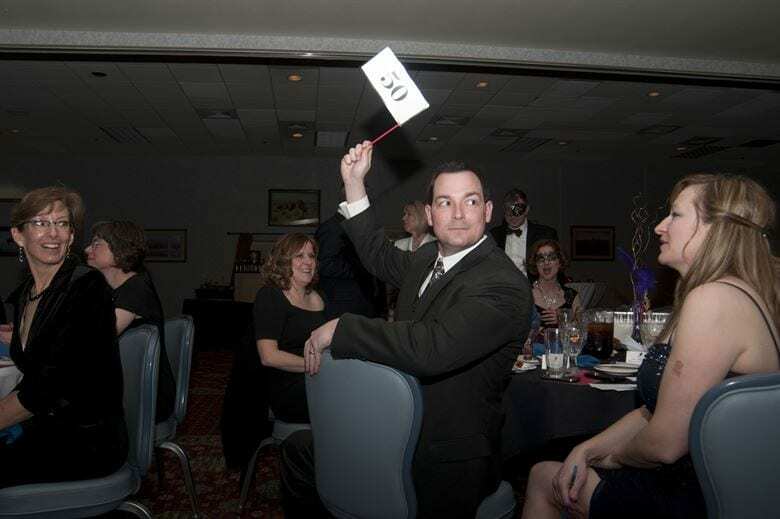 It’s that time of year again folks, the annual OCP AUCTION and you don’t have to be a planner to come!! Join MRPs in a fundraiser with both a silent and a live auction. 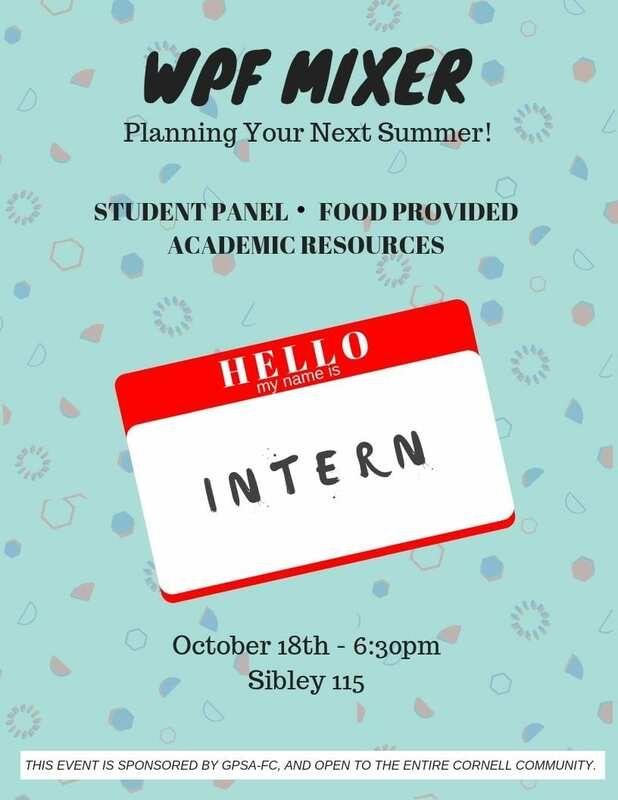 This event is open to all grad students, so bring your friends! There will be snacks, dollar beers and lots of fun things to bid on! The auction kicks off at 8 p.m. this Saturday, November 10. Hope to see you there! This semester, approximately 45 students in the Department of City and Regional Planning took a three-day field trip to Cleveland to bond with each other and learn the inner workings of American urbanism firsthand. After the weekend, fearless field trip co-leader Linda Shi, assistant professor in the department, asked the class to reflect on what they saw. This week, members of Cornell CRP’s Ph.D. program will speak at the Association of Collegiate Schools of Planning (ACSP) annual conference in Buffalo, New York. The theme of this year’s event is The Continuing City: People, Planning and the Long Haul to Urban Resurgence. Details: Saturday, October 27, 3:30 p.m. – 5:00 p.m. Session title: What Does Urban Sustainability Really Look Like? Details: Friday, October 25, 8:30 a.m. – 9:45 a.m. Details: Thursday, October 25, 9:45 a.m. – 11:15 a.m. Details: Friday, October 26, 8:30 a.m. – 9:45 a.m. Details: Saturday October 27, from 10:00 a.m. – 11:30 a.m. Session Title: What Is the Role of Institutions in Regional Governance and Planning? Subsession: Where Are the Women In India’s Smart City Transport Plans? Details: Thursday, October 25, 1:00 p.m. – 2:30 p.m. Registration for the conference is now closed, but a full schedule of events and presentations can be found here. For those who can’t make it out to Buffalo, here’s the link (PDF) to the accepted abstracts. 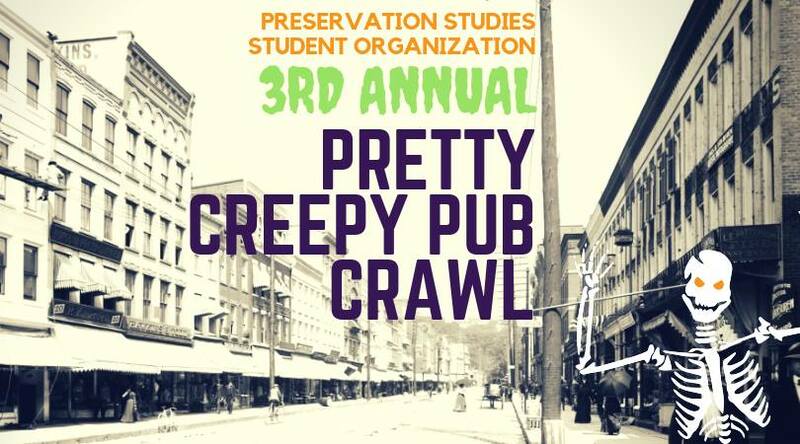 This Friday, October 19, the Preservation Studies Student Organization (PSSO) is hosting its third annual Pretty Creepy Pub Crawl to raise money for the organization. Participants will follow clues in a scavenger hunt that will take them around Ithaca’s landmarks (with plenty of stops at the bar, or course). There will be a prize for best costume and a prize for the first person to complete the scavenger hunt. Festivities will kick off at 6:30 p.m. in front of the Big Red Barn. Tickets are $10, and event organizers Carolyn Gimbal (cjg273@cornell.edu) and Kaitlin Mitchell (kam475@cornell.edu) are accepting payments by cash and Venmo. Find them in the HPP lounge (Sibley 102) or reach out by email before Friday to get a ticket. As important as it is to cultivate a nuanced understanding of zoning codes and postcolonial planning epistemology, it’s nice to have some practical design skills on your resume, as well. 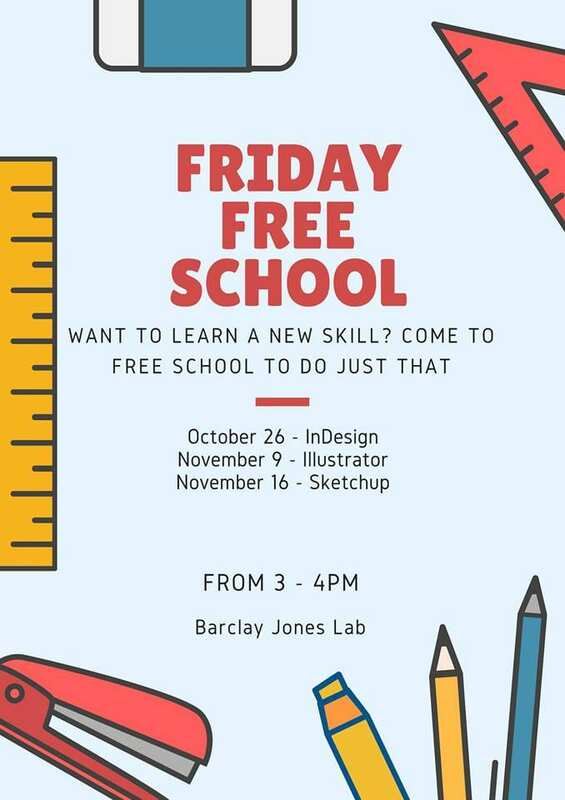 To that end, three enterprising and generous CRP students have agreed to teach their classmates the fundamentals of InDesign, Illustrator, and SketchUp over the course of three Friday afternoons for this semester’ edition of Friday Free School. MRP students Josh Rotbert, Rhea Lopes, and Kristen Collins will each be leading a class. This year, sessions kick off October 26 in the computer lab on the third floor of West Sibley (officially the Barclay Jones Lab).